Seeing the late Edward Victor on stage at the now defunct Metropolitan Theatre in Edgware Road, London, when John was a small boy, started his interest in magic. Later he became enamoured with the manipulative magic of Geoffrey Buckingham, so it is not surprising that Victor's expert thimble magic and Buckingham’s excellent manipulation of billiard balls, should have had a marked influence on the type of magic John performs. 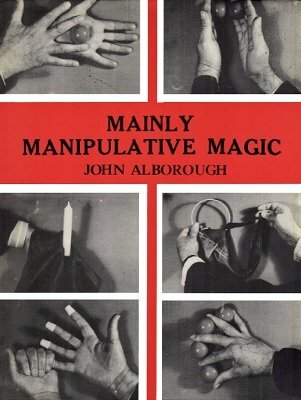 Having met and enjoyed the confidence of these two magicians and studied their books, he built his own act. Certainly the Victor / Buckingham influence is there but John has developed a style of his own and is responsible for much original material – particularly in the simplification of methods. 1st edition 1978, 92 pages; 1st digital edition 2018, PDF 92 pages.